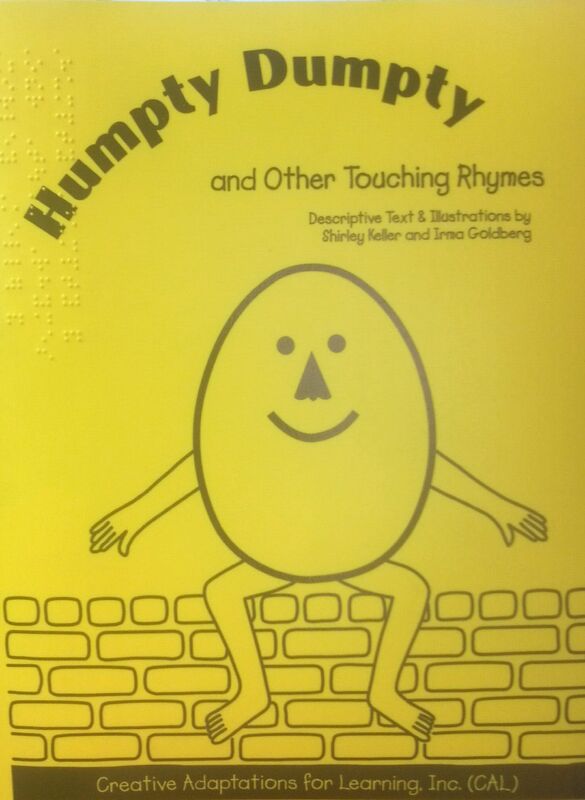 Let's Learn Shapes with Shapely-CAL, developed by Creative Adaptations for Learning (CAL), is a book of poetry - in large print and braille - plus raised, textured illustrations that can be read by blind children and adults without the intervention of a sighted person. Price per book: $35.00 (U.S. Dollars). 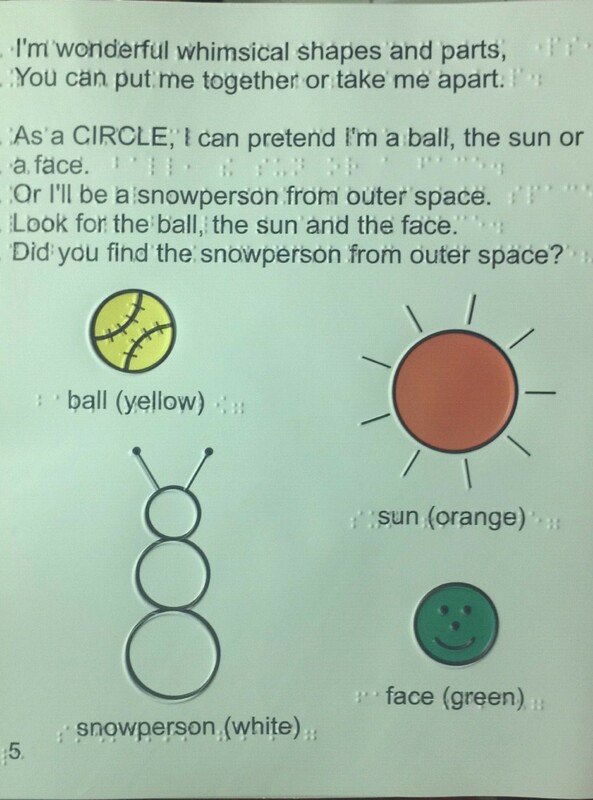 Childhood's best-loved nursery rhymes pair with tactile illustrations that portray each story element, presented in print and braille. Shapes, sequences and textures cleverly depict elements and action, so that readers "see" what's going on: e.g., the action of the rain falling from the clouds and then puddling on the ground in "Rain, Rain, Go Away." The book is bound in a bright yellow cover and contains eight popular rhymes familiar to children. A separate text interprets detail. Price per book: $24.00 (U.S. Dollars).